Deputy Commissioner of Gaurav Bothra has ordered a magisterial inquiry into the whole incident. The deceased. Photo credit: Northeast Now. 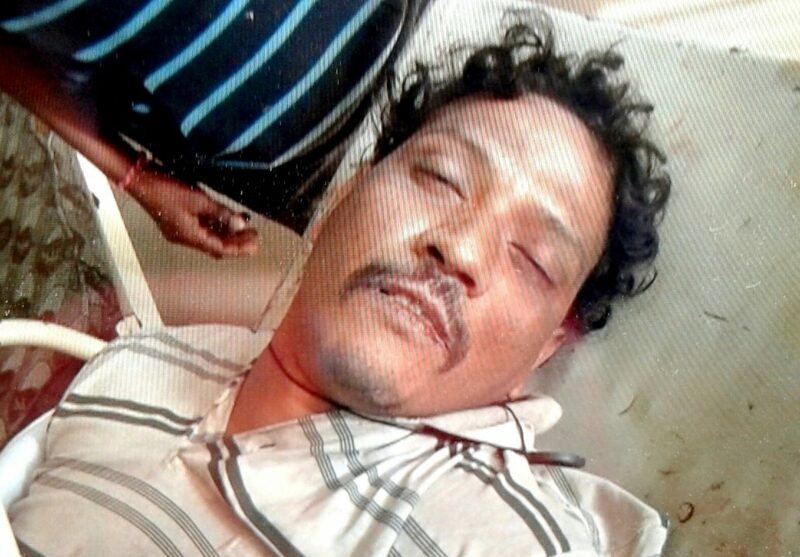 One person, a former BSF jawan, died after being was shot at by police at Habial Village in Khumtai in Golaghat district at around 10.30 am today after he had created panic among voters coming cast their votes in panchayat election. The person, identified as Gyanendra Rajkhowa (35), died of his injuries at K K Civil Hospital in Golaghat. “Gyanendra attacked me with an iron rod when I was on my way to cast my vote at the polling station at Habial LP School and tried to attack other people. Four people sustained minor injuries and he fled from the spot. Later a large police contingent arrived to capture him” said Sotai Das a local villager. “When the police party came to our house, situated at a distance of one km from the polling station, they asked my son to come out and I also advised him to surrender before the police. He went outside and started argument with police and showed them aDau(machetes) and without warning the police started firing at my son” alleged Nagen Rajkhowa, the father of the deceased. “My son was a BSF jawan, he retired seven years ago and since then has been at home doing cultivation in our paddy field. He got separated from his wife and started to lose mental balance. He could have been captured by using some other non-lethal measures but he was murdered at my courtyard,” Rajkhowa rued.